Hidden away in the heart of Aravalli Hills, at the foot of a mammoth granite rock, surrounded by forested hills and rocky outcrops, Rawla Narlai is a beautifully maintained heritage resort, which was one of the Jagir Villages of Jodhpur’s Royal family. Still owned by members of the Jodhpur family, the resort is now transformed from a mere hunting lodge into a stunning, stylish boutique hotel albeit with all its original character and structure retained. 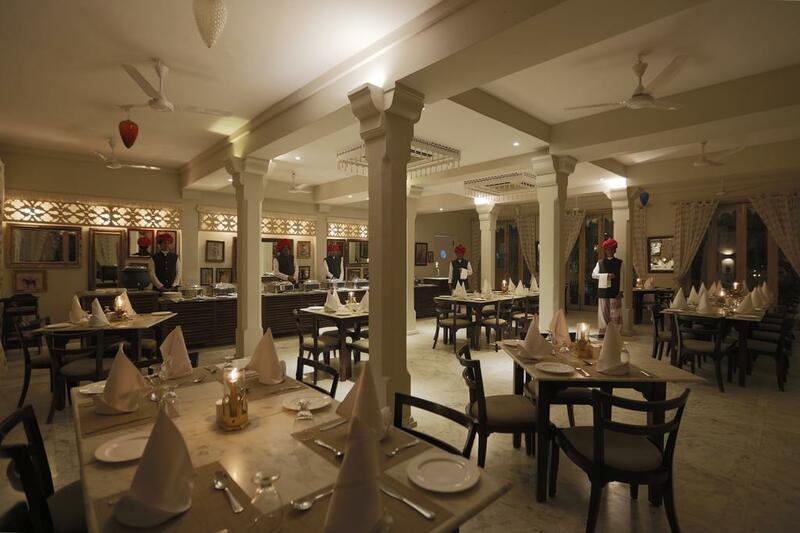 Revel in the splendour and lavishness of Rawla Narlai- an enchanting journey of Royal Rajasthan ! Doorman, Major Credit Cards Accepted, Party Hall, Arcade/Game Room, RO Water Purification System, Backup Generator, Doctor on Call, Recreation, Swimming Pool, Complimentary Newspapers in Lobby. Iron/Ironing Board, Ceiling Fan, Internet Access, Moisturiser, Attached Bathroom, Voicemail, Desk, Complimentary Toiletries, Television Room, Dustbins. Breakfast Services, Doctor on Call, Laundry Facilities, Parking, Room Service, Secretarial Services, Bar. User reviews for "Rawla Narlai Hotel Udaipur"